For the 2017-2018 school year, UrbEd worked tirelessly to disband the School Reform Commission. We are happy to say that in partnership with many other organizations the City of Philadelphia now has local control. Once this goal was achieved UrbEd has broadened its focus to building youth voice in decision making. One of the way we work on this is advocating for a voting capable youth part of the mayoral appointed board. It also works to equip students with the skills and opportunities to bring their voice and concerns to the board and other policy makers. Often youth who are most impacted by education policy are those with less say in the decision making process, UrbEd seeks to change this! 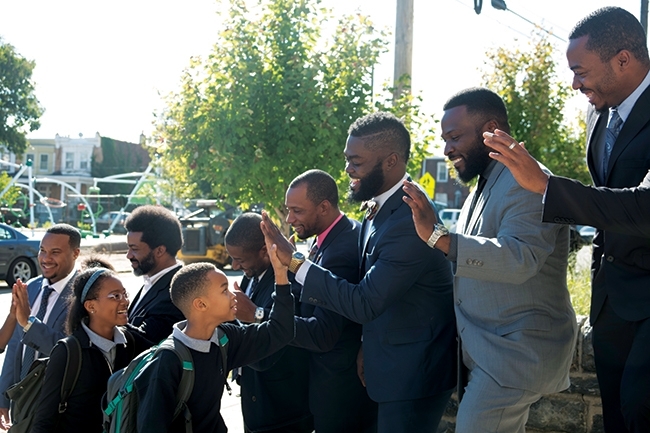 UrbEd’s main priorities when it comes to discipline is not only to ensure the safety of students in Philadelphia’s schools, but to ensure that students aren’t prosecuted unfairly after an offense occurs in their learning environment. The suspension rate for the School District of Philadelphia is well above the average when it comes to the rest of the nation. Not only that, but about 1,600 students are arrested every year from Philly schools up until 2014. 80% of that 1,580 were black. Compare that to the 51% of African-Americans who actually make up the school district. Often, these young minorities are being arrested for minor offenses and mistakes. UrbEd seeks to advocate for safe and supportive environments for youth to receive their education by ending the school to prison pipeline! The lack of teacher diversity in Philadelphia is negatively affecting our students, primarily young males of color. Due to the number of minority students in our education system growing, it is essential that we work to ensure that our student can relate to and be included by our entire teaching force. Sharing cultural experiences with your educator helps close the achievement gap and provide opportunities for meaningful mentorships and wholly improves teacher/student relations across the board. It is our responsibility to fight for that diversity and make the diverse voices of all kinds educators reach our diverse student body. The severe underfunding of the Philadelphia School have physical impacts on the Philadelphia students. Because of lack of resources classrooms are overcrowded, school facilities unsanitary and run down, and students lack clean drinking water. In Philadelphia schools there are issues with Mold and Lead, both can have long term negative impacts on students health. UrbEd seeks to give every student access to a safe, sanitary, and functional building that will allow them to be educated.